We caught the new James Bond movie, Spectre this weekend. I love all the James Bond movies. So much action and suspense and I have been awaiting the arrival of this new one since we saw Skyfall two years ago. It did not disappoint and I loved Lea Seydoux as the new Bond girl in this. She’s so pretty and classy! Definitely recommend catching this if you have time :) since we have a puppy now and we’re up at the crack of dawn so we went to the 10am showing…crazy, right? 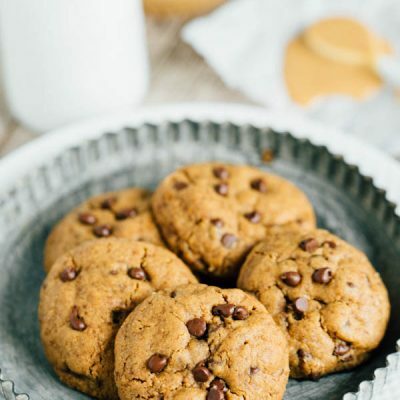 If you’re looking for a super easy cookie recipe for when the craving hits, this is flourless cashew butter chocolate chip cookie recipe for you. 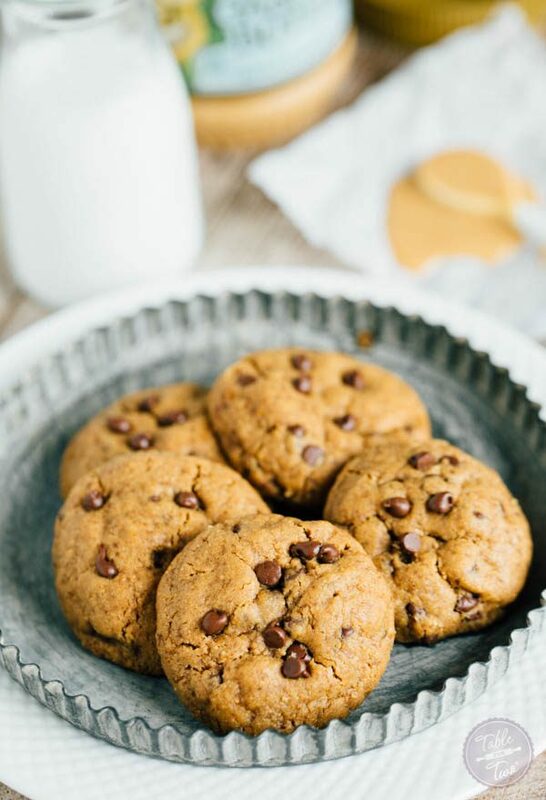 I made a batch of the cashew butter flavor and a batch of almond butter flavor for Jason to take on his fishing trip this past June (haha and I’m just now sharing the recipe…oops) and they were a hit! You can interchange the nut butters and it will work :) the almond butter dough is a bit more crumbly than the cashew butter one so I had to squeeze the dough between my hands, using body heat to kind of mold it together. 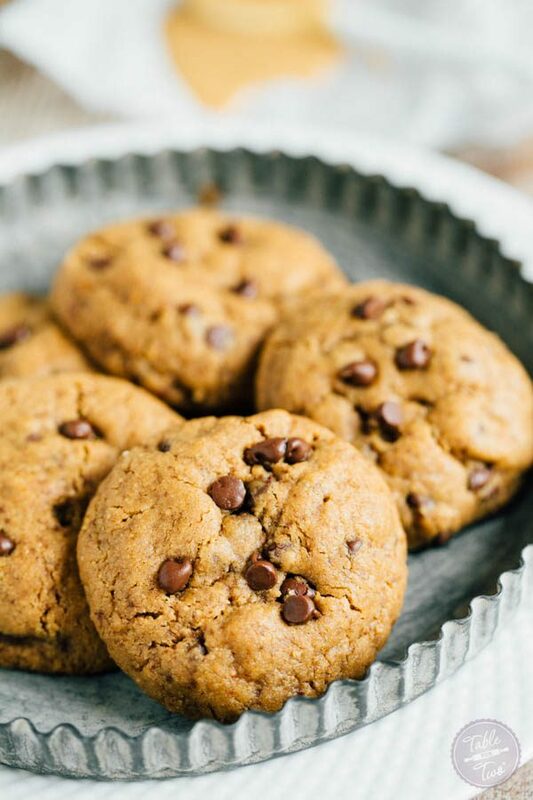 All you need seven ingredients and one bowl to make one dozen flourless and paleo-friendly cookies! In a large bowl, whisk together coconut sugar and egg until incorporated. Add in the cashew butter, baking soda, vanilla extract, and salt. Mix with a spatula or wooden spoon until batter comes together. Stir in the chocolate chips. Using a medium cookie scoop, scoop dough and roll into a ball then place on baking sheet. Bake for 10 minutes and let cool on cookie sheet for 5 minutes before transferring them to a wire rack to cool completely. 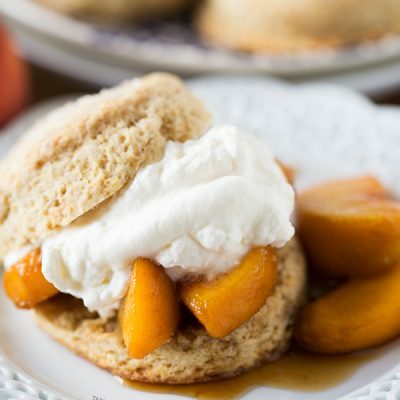 If you don't want to make this a paleo-friendly recipe, you can substitute granulated sugar for the coconut sugar and peanut butter for the cashew or almond butter. 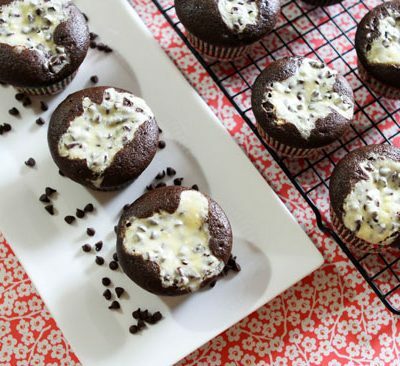 Also, you can use regular chocolate chips instead of dairy-free chocolate chips if you aren't concerned about dairy intolerances or making this paleo-friendly. I have been following your blog for a long time and I live in Chile (from USA though). If you win, I will show you around Chile! :) Good luck!! Eek! That’d be so fun! :) :) fingers crossed for me!! Good luck darlin! This is your year!!! I will ” happy dance” for you for good luck!!! Good luck, Julie! I’m sure you will do awesome. I made these cookies last night. I’m not a chocolate fan (yea, haters, be kind!). I didn’t have mini chips, so used regular. Used peanut butter (because I LOVE it). Hubby said they were the best EVER. I even liked them, but would use less chocolate next time (or chop the regular chips in the food processor a bit to make the chunks smaller). Couldn’t upload a photo, but will on Facebook! oh! I really like this idea for those of us who aren’t huge peanut butter fans. Good luck in Paris and enjoy the trip! Loving the option for all the nut butters! These look fantastic Julie! Loving your Paris adventures on Snap!! And these cookies look delicious! Is your friend serious! She made a “held hostage on a boat” joke the night of the worst terrorist attach in years. You should be ashamed of yourselves and you’re pretty awful people. We didn’t even know what was really fully going on at that point. I don’t believe my friend meant any of that intentionally. Sure, poor word choice on her part but we were told we couldn’t get off the boat for an indefinite amount of time so we really didn’t have a lot of knowledge of what was going on. Thanks for your concern…I’m thankful for our safety and I ask you to keep France in your thoughts and prayers. I didn’t know flour free could look so fluffy!! I’m going to give these a try ASAP! 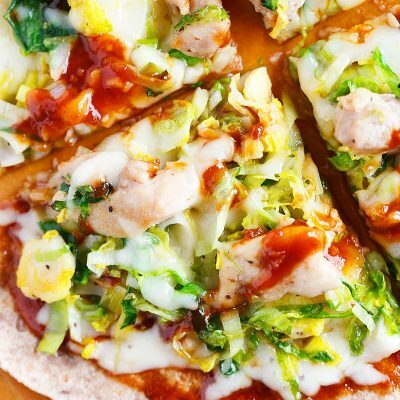 What a simple recipe…I have no excuse but to try it! Happy feasting. Hi! Can i substitute cashew butter with unsalted/salted butter? 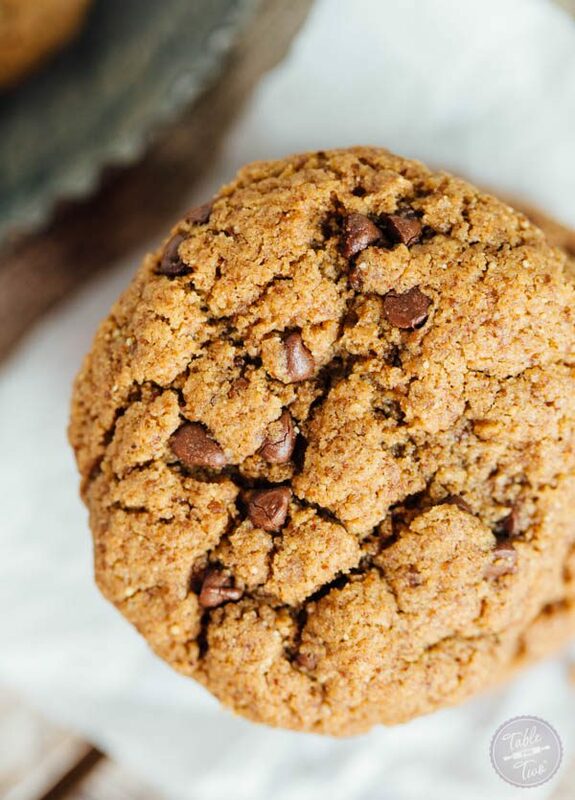 No, you would completely lose the flavor of this cookie (you’d be making a butter chocolate chip cookie) and it does not have the binding qualities as the cashew butter. Finally! These are the best chocolate chip cookies I’ve made! And they don’t make me feel like crap! I wonder how many calories they are? A LOT I’m sure but at least it’s “good fat” and low glycemic sugar. I am so grateful for this recipe. I’ll never make any other chocolate chip cookie recipe again. For those wondering, they don’t taste like cashew in my opinion. They came out soft, not hard and crunchy, and not overly sweet. I used chocolove brand chips. The batter didn’t taste good but the cookies are perfect.